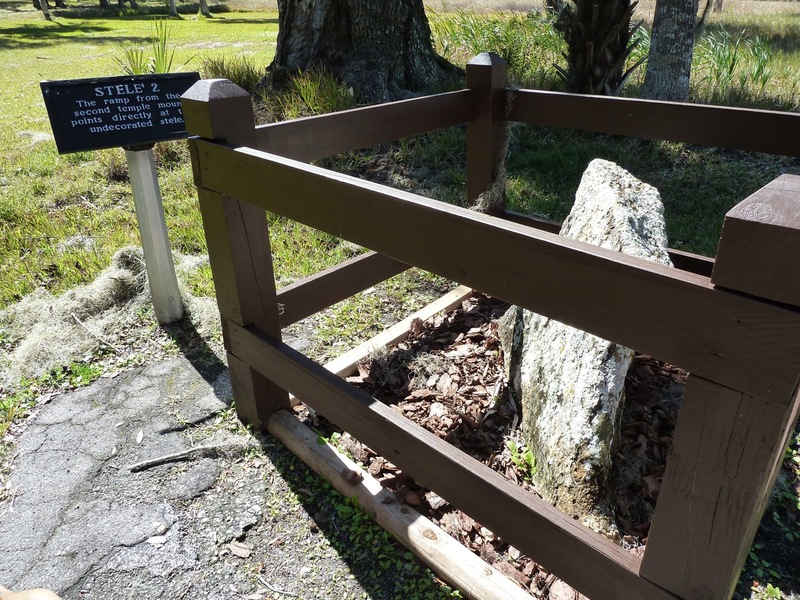 The site in itself is fascinating, with midden mounds and burial mounds containing an estimated 2,500 burials with grave goods that include artifacts that indicate a wide trading network that includes the Hopewell culture. However, what interested me most was the collection of several standing stones at the site. 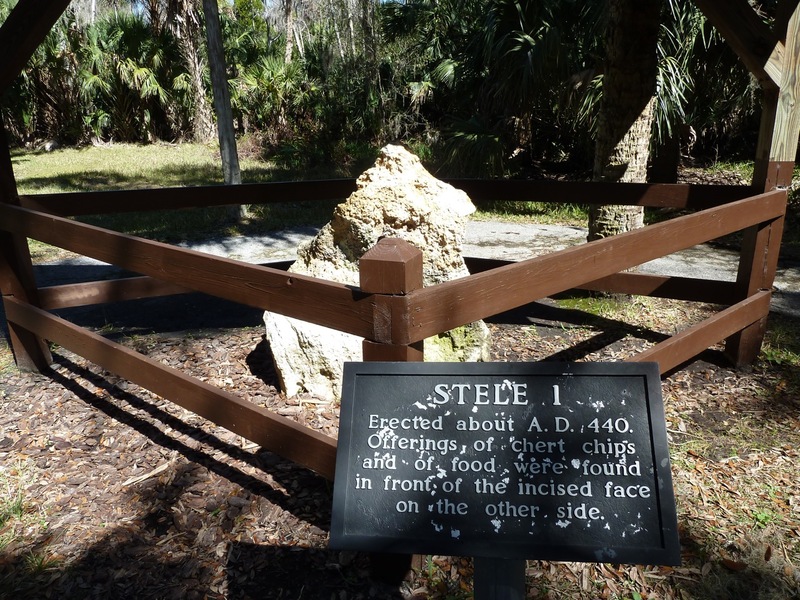 Standing stones are rare in the SE USA and two in particular - Stela 1 and Stela 2 - immediately leapt out as being arranged in an interesting relationship. 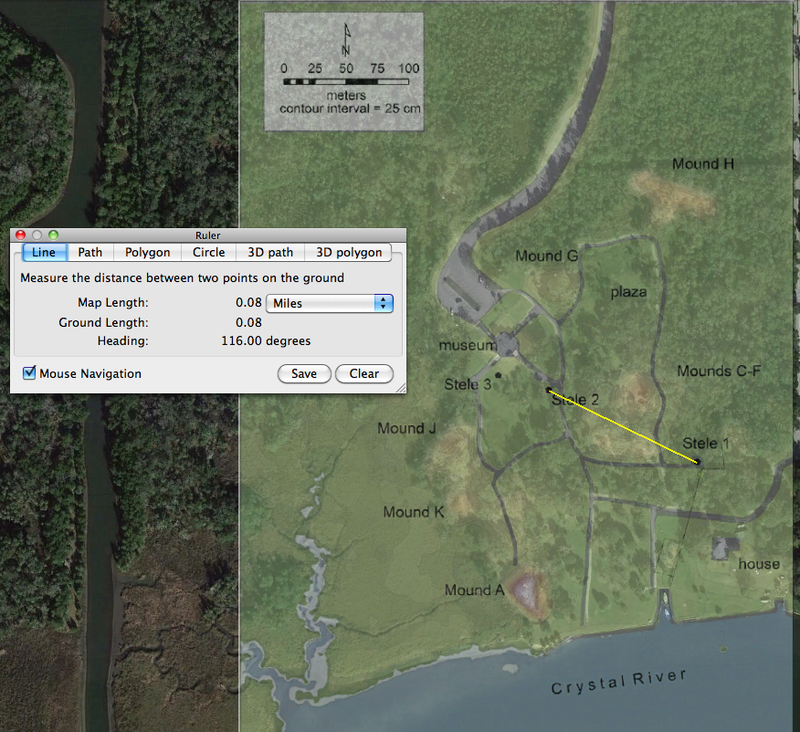 The next image is an overlay of recent LIDAR data over Google Earth with the alignment from Stela 2 to Stela 1 shown. The line from Stela 2 to Stela 1 is oriented at approx 116° azimuth, and (obviously) 296° in the reverse direction. At the latitude of this site - approximately 28.9°N - Winter Solstice Sunrise is at 117° and Summer Solstice Sunset is at 297° in 440AD. There is some dispute as to the dating of the Stelae, particularly since Stela 1 which is rumoured to have been moved in the 1950s. In any case, it's an interesting site.